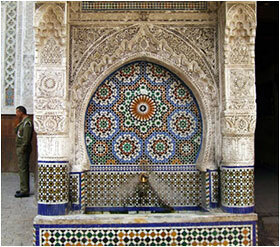 Moroccan cookery classes (by arrangement). Moroccan Bread-Baking Classes: Learn to bake Moroccan flat bread at Dar Sienna and take it to the local farnatschee (communal oven) for baking. Henna/Moroccan Makeup & Tea with our neighbour Soumaya. 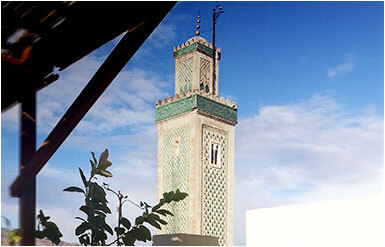 A chance to meet a Moroccan family and experience Moroccan family life. Soumaya's father Hassan has been casting candles for 25 years and is happy to show his workshop. From Fez we can arrange day trips to Meknes, Volubilis and Sefrou with Friday excursions to Bhalil, a charming village in the foothills of the mountains with a fabulous lunch at our friend Aziz's cute mountainside house. 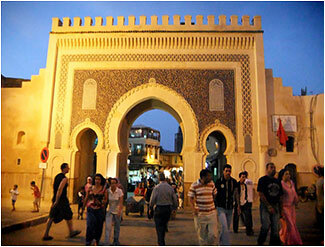 Desert trips can be booked from Fez, returning either to Fez or Marrakesh. Generally speaking we do not arrange daytime guides as there is simply no need. At Dar Sienna, you are surrounded by all the major sites and sights... Just bring a guide book and we provide you with a map. Getting lost and found is part of the experience!